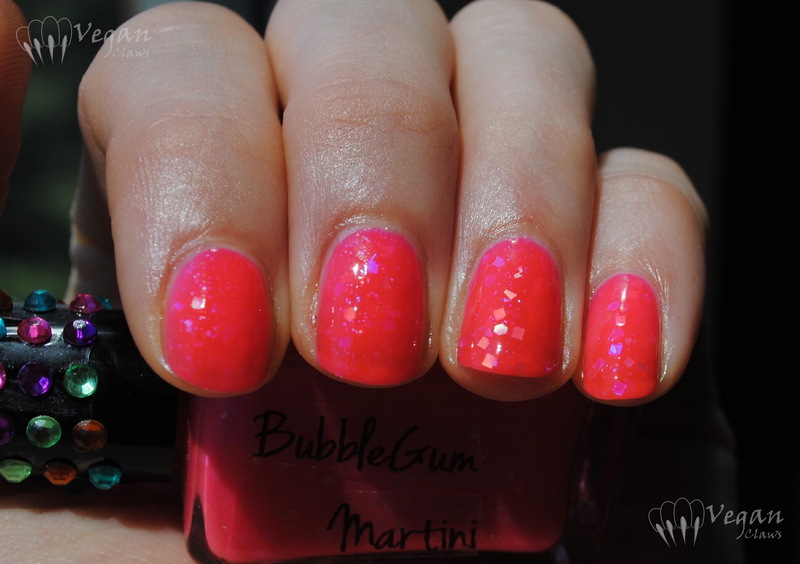 I’ve got another Ruby White Tips polish to show you today; this time it’s Bubblegum Martini from the Happy Hour collection. 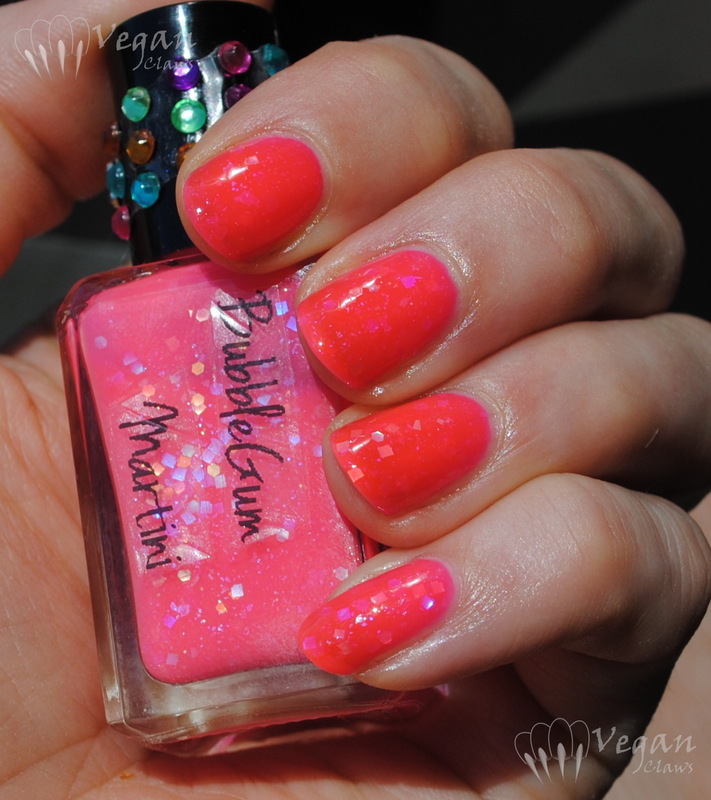 Bubblegum Martini is a neon pink jelly polish full of different colours and shapes of iridescent glitter, shards, and tiny flakes. I love the iridescent blue-purple squares! I used three coats. 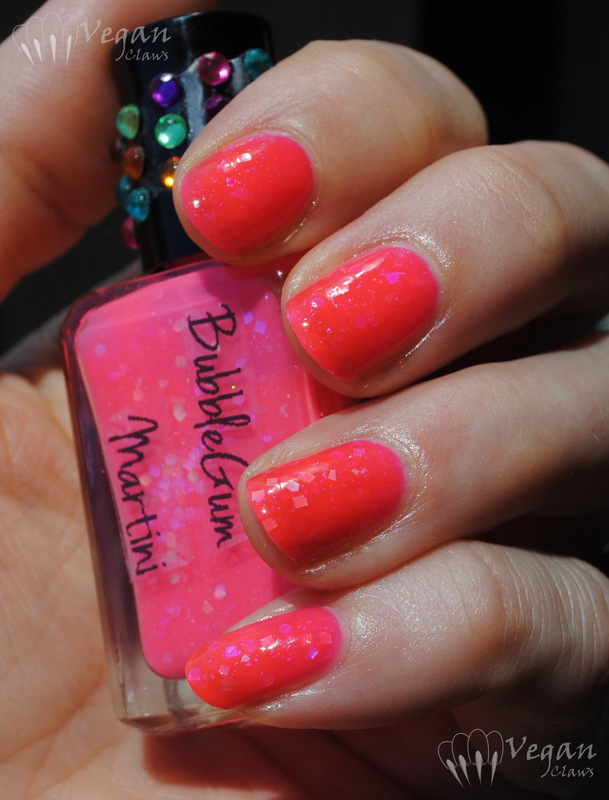 Being a neon, this polish dries matte, and I also used topcoat for these photos. The formula was good, and it dries very quickly! 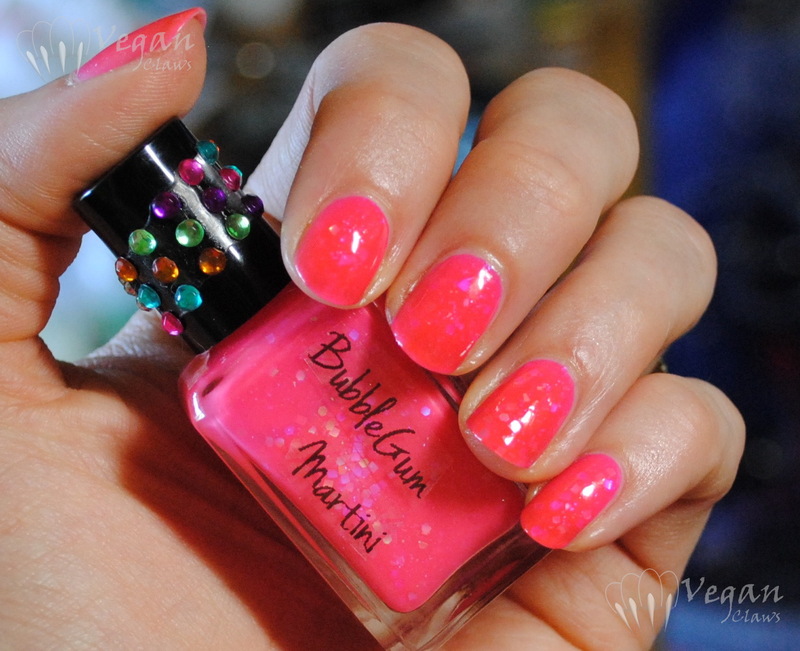 I agree, I love the rhinestones all around the cap!